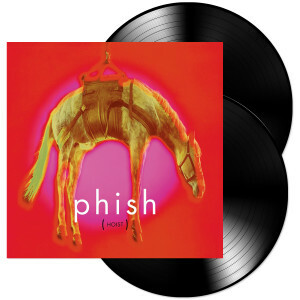 Phish's 5th studio album, released for the first time on vinyl. Originally released back in March of 1994 by Elektra Records. In September 2015, Chris Bellman at Bernie Grundman Mastering cut the lacquers from the 1/2" flat master reels for the vinyl edition. Each 2 LP Set is pressed onto 180g audiophile grade vinyl and includes a free MP3 download of the album transferred from the vinyl. This is a 5000 numbered limited edition run on 180 gram black vinyl.